The Science Behind Yoga: Does It Really Do Anything? When I think of yoga, my mind tends to think about stay-at-home moms who drop their kids off at school, go to yoga class, and then go out to brunch with their girl friends. The concept of yoga has introduced itself into society as the “cool” way to get a workout and relax all at the same time. But what if it’s really all that it’s cracked up to be? Of course, going for a run or swimming laps in the pool have great benefits, but for us slightly less athletic and less coordinated people, there’s good news: yoga has its benefits, and they don’t just include weight loss of that pesky freshman ‘15. Yoga has amazing effects on our body as a whole, from managing stress to boosting our immune system to curing addiction. Yoga has been around for nearly 5,000 years, and everyone that has practiced it has felt its benefits, but why? What is the mechanism behind why yoga makes us feel better and calmer? Our brains are so complex that scientists haven’t even begun to tap into their power, but one thing that scientists have been able to figure out, though, is the connection between our brain chemistry and yoga. According to Uplift, we have two “sides” to our brain, the emotional brain and the logical brain. The emotional brain’s job is to initiate stress and the response to stress which causes adrenaline and cortisol to soar through our bloodstreams. (These are not good things to have in our bloodstream, but I’ll explain that later.) Then we have the logical brain, which tries to turn off the emotional brain’s stress response. People who are very logical thinkers have a very easy time turning off and managing their emotional brain, but for those of us who are ruled by our emotions, if feels like there’s no end in sight when it sets off. This is where yoga can come in: We can physically manipulate our brains’ responses to situations by practicing yoga on a regular basis. We have these sort of “pressure points” throughout our body, which can be triggered or signaled depending on how we stretch our body. When we bend forwards to touch our toes, or backwards to see behind us, these “switches” in our neck turn on our stress response signal, or our emotional brain. Our logical brain, then, has to overcome this stress in order to stay balanced. The more we train our logical brain like this, the easier it will be in the future for our logical brain to take over our emotional brain in times of stress and help us calm down. According to Stephen Cope, the head the program “Yoga and the Brain” at the Institute for Extraordinary LIving, yoga can also help our nervous system. The nervous system, responsible for the “fight or flight” response to stress produces the hormone cortisol, “which not only fuels our split-second stress reactions,” but can cause severe damage to our bodies when we are continually stressed. Reducing cortisol has it’s many benefits, including lower stress levels and a healthier immune system. Among helping our nervous system and controlling our stress, yoga has countless other benefits as well, including reducing inflammation, helping with and sometimes even curing addiction, and enlarging the number of our brain cells, according to the Art of Living. According to Paula R. Pullen, yoga has the ability to positively influence the smallest of molecules which can help later in on in diagnosing the risk for many serious diseases. For those of us who thought yoga was only for stay-at-home moms, we need to re-think this type of exercise and relaxation. The benefits are numerous. Not only does it just help with managing stress, but it can also helps heal countless other ailments. This entry was posted in Uncategorized on September 8, 2016 by Lauren Hile. 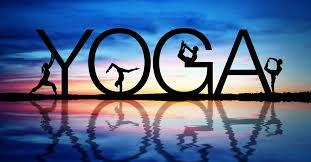 by Timmothy McCall about all of the health benefits of yoga, I have changed my opinion. Even though I’ve never consistently practiced yoga (I’ve been to maybe a total of six classes in my life), my mom regularly goes to yoga classes and has been trying to convince me to tag along for years. The irony in our exchanges is that my excuse for never going usually consists of “being to stressed to take the time,” when in fact going to yoga with her would most definitely relieve some of my stress! I know a lot of people who knock yoga because they think it’s not as good or as satisfying a workout as going to the gym to lift or do cardio, but this study conducted in San Antonio shows that yoga can be just as beneficial as any treadmill run or outdoor exercise! For the longest time, I actually scoffed at the idea of yoga providing any mental health benefits. It all seemed so hippy to me. However, my mindset changed after I became a camp counselor recently. Every morning, we would start the day off by doing yoga with the kids. The yoga instructor would peacefully remind us to breathe in and out rhythmically–and to my surprise, I found that my days were much calmer than usual! I know this isn’t very scientific, but this personal experience has changed my mind about “hippy” yoga. This is also making me rethink meditation, which I still can not fully take seriously (I know, I know…I’m a judgmental person). This article here ** http://www.huffingtonpost.com/2014/09/19/meditation-benefits_n_5842870.html **, written by Kristine Crane, speaks about the benefits of meditation. According to her, meditation reduces stress and helps you concentrate. These are both aspects of my life I would like to improve, as I am constantly on edge and have the attention span of a squirrel. Maybe I will find myself a situation in which I must meditate, and I’ll change my mind about it, just as I did with yoga.